Few things are more exciting and memorable than alligator hunting in the marshlands of Florida. It’s an excellent opportunity to have a fun filled family adventure. Hunters will not only have the chance to capture the trophy of a lifetime, they will also be able to see Florida’s wildlife at its best as they travel through marshlands in the middle of the night, gliding in just a few inches of water on an airboat. It feels like a never-ending carnival ride. We are located 45 minutes southeast of Orlando, and just 30 minutes south of the Kennedy Space Center. Beautiful public beaches are only five miles away and there are numerous family activities to do in the area. Safety is important to us. Each guide has a cell phone and a well-stocked first aid kit. They carry a surplus of equipment, and we always have a “what if” plan in place. Our guides are not only experienced; they work as alligator hunting guides fulltime, unlike many others in the industry who only hunt on the weekends. In fact, our guides are experienced and proficient enough to conduct groups of more than a dozen hunters at a time. Our guides will do everything within their abilities to make certain that you have a safe and memorable adventure. 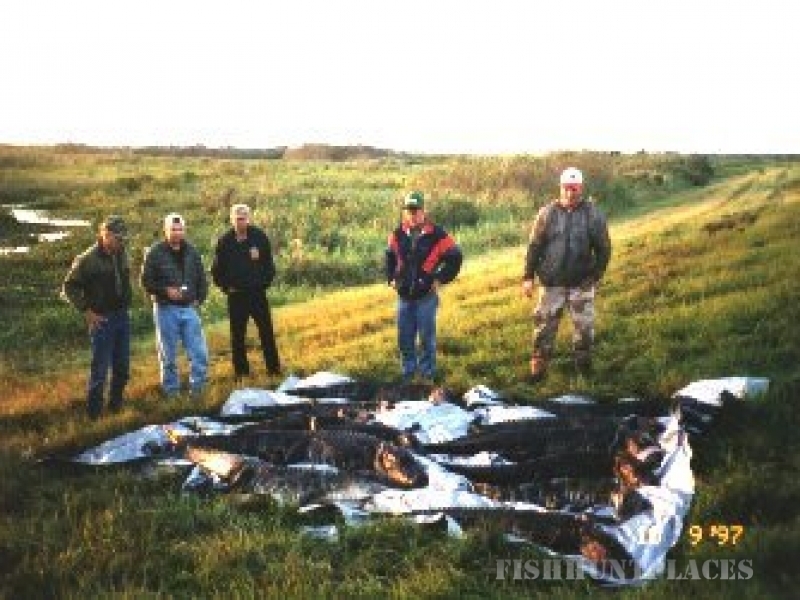 Our guides will provide you with as many opportunities as possible to harvest one of Florida’s ageless dinosaurs. During our 23 years in business, we have conducted more guided gator hunts than any other guide service in the State of Florida. 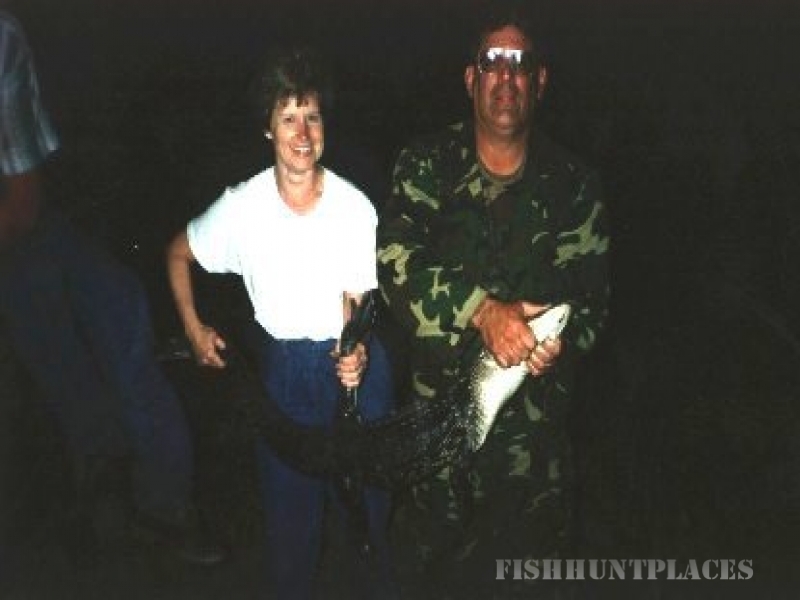 We have had the pleasure of taking over 1,000 clients on an unforgettable gator hunt. Each year we see more and more repeat clients, due to their previous successful hunting adventure, and our attention to the small details. 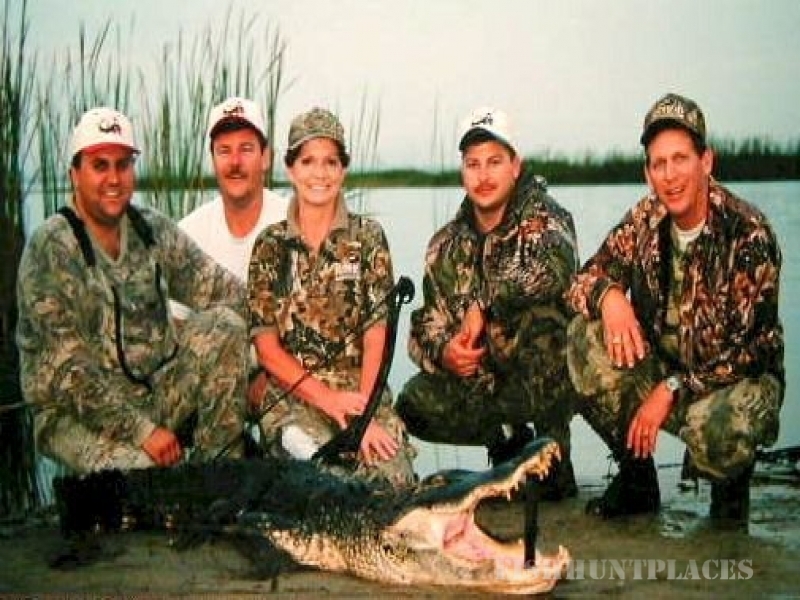 We are endorsed by more Professional Hunters than any other alligator guide in Florida, and most of them have hunted with us on several occasions. We have been featured on more than 25 shows on “T.N.N. OUTDOORS”, as well as “E.S.P.N.2”, and the OUTDOOR CHANNEL. Additionally, we have been featured in many books and magazine articles, including one written by esteemed hunter Jim Shockey. The article outlined our hunt for a giant, 12-foot long gator. Ultimately, the trophy we captured ended up being ranked #1 with a muzzleloader in S.C.I.’s record book. For three consecutive years, we were the sole driving force working with the Record Book Committee of Safari Club International. We meet with them annually on our expense in order to provide the information they need about the American Alligator. Our diligence paid off in January 1998, when S.C.I. made the decision to place alligators over nine feet in length into the record books. We have maintained an outstanding working relationship with S.C.I. for the past seventeen years. In fact, we have donated countless hunts to the National Convention and the local chapters throughout our time with them, and our contributions have exceeded $90,000. With your support, we hope to be able to continue our donations to a wonderful organization.